Fabulamundi has designed and will run a structured mobility program in the participating countries (MobPro), addressed to 80 selected playwrights coming from 8 countries and hosted in each of them, plus the UK, from April 2018 to the end of 2019. MoB Pro is one of the added value of this new edition of Fabulamundi, an unique occasion for the 80 playwrights participating the project to live an international mobility and attend professionals training and peer to peer learning activities, together with a selected group of EU playwrights, as well as organizations and stakeholders relevant at national and international level. The main objectives of the MobPro are to stimulate and raise awareness through open discussions on the role and position of playwrights in contemporary society, with specific reference to the “Beyond Borders?” theme and to provide playwrights with new insights, capabilities and opportunities in terms of international exchanges and self-positioning within the European context. During the MobPros, pre-selected playwrights will: meet other EU playwrights and other relevant organizations/persons; exchange experiences in a peer-learning approach; meet a selection of relevant stakeholders of the hosting country in order to have an effective networking and a professional opportunity; reflect on the “Beyond Borders” theme with colleagues and experts. Hosting organizations will be responsible for the activity implementation and for the results to be achieved, in close cooperation with ECCOM which will take care of the format definition and of the monitoring, evaluation and reporting of the whole activity. Sessions – moderated by expert trainers and facilitators Cristina Da Milano and François Matarasso – will be articulated in 3 days according to a format which will be the same during the 9 MobPros. A workshop on the theme “Beyond Borders?” will be held in each country on the first day according to a specific declination of it (geographical, cultural, social borders). Key-note speakers will be identified in each country in order to provide participants with a relevant conceptual framework aiming at feeding the following debate among playwrights, experts, professionals from hosting organization. The second day will be dedicated to the peer to peer learning activity amongst playwrights, experts and testimonials invited by the resident organizations. Among the issues addressed there will be: best practices for dramaturgy circulation and playwrights mobility; capacity building of playwrights in terms of self-presentation; partnerships among playwrights and different stakeholders. 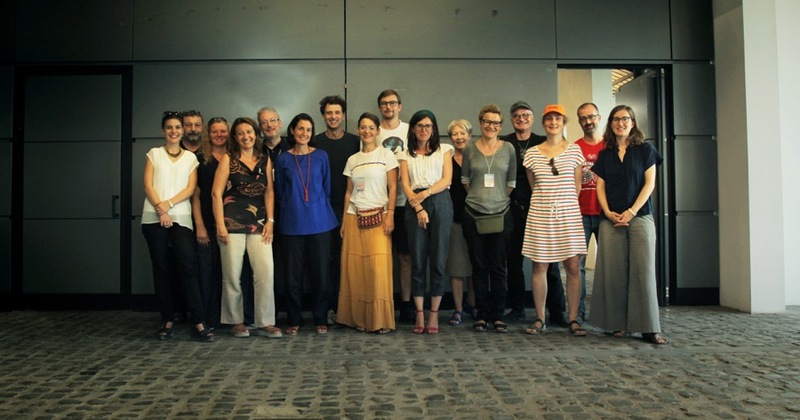 The meeting with stakeholders will be the core of the Mobility Activity, since the participating playwrights will have the opportunity to present their work to relevant national stakeholders, appositively invited by the resident organization on the basis of their interests and artistic visions. Click here to download the programme of Mob Pro – UK. Click here to download the programme of Mob Pro – Spain. Click here to download the programme of Mob Pro – Italy. Click here to download the programme of Mob Pro – Czech Republic. Click here to download the programme of Mob Pro – Poland.